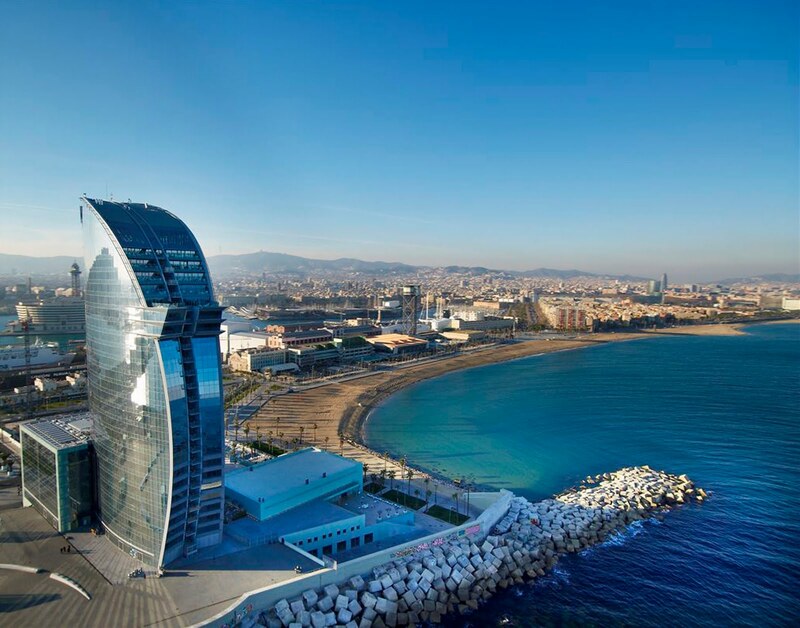 wonderfully, when the city is right on the seaside. 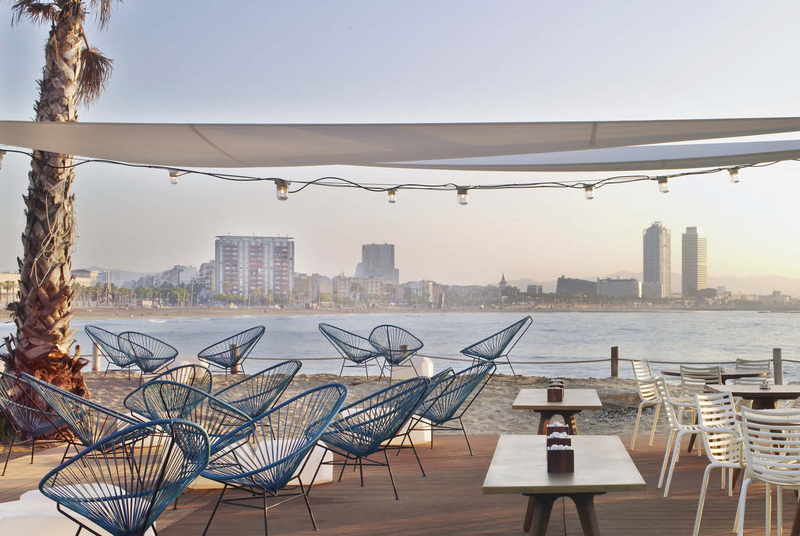 Awoke, breakfast, I take sunblock, swimsuit or trunks, towel, and forward, relax on the sand, to swim, listen to music, sunbathe, chat with friends, read and enjoy life. But exactly where to go? Which beach to choose? 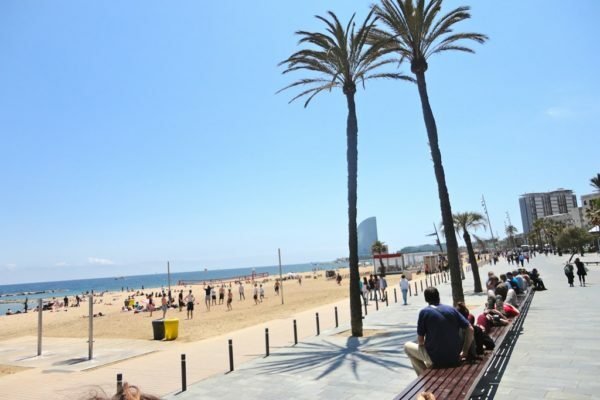 In this section, we'll tell you about the beaches in Barcelona and most of those, that it is close to the city. 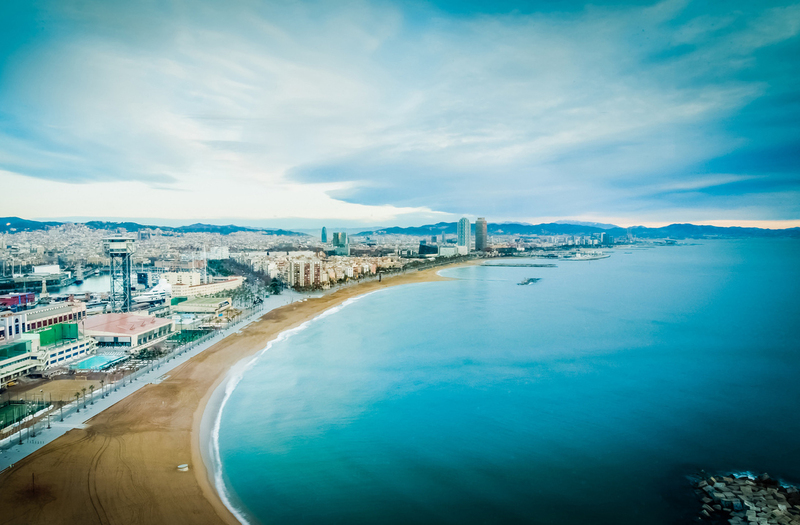 The beach line stretches for Barcelona 4 km. 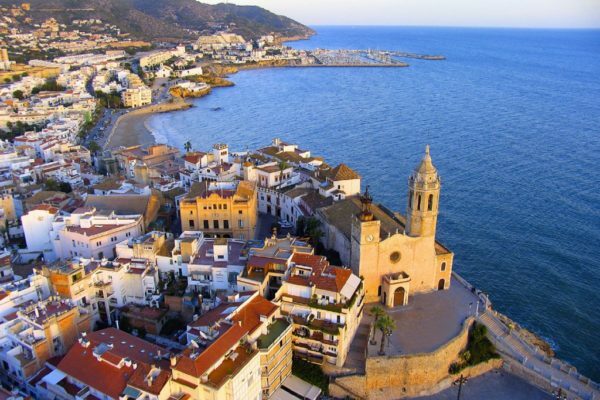 The sea is warming at about the middle of June, but the sun is already possible with the beginning of April. The season closes in mid-October, the whole of September is an excellent summer weather. 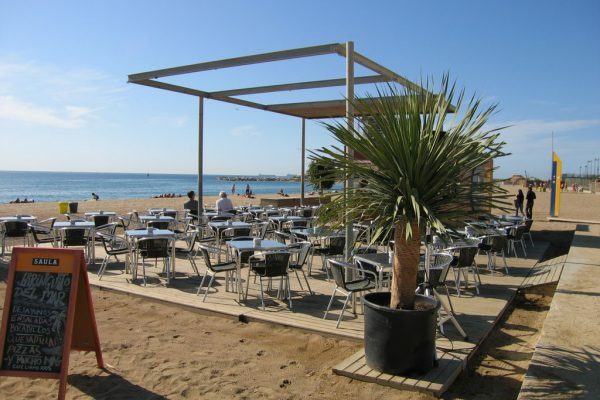 Umbrellas and sun beds are about 7 € per day. 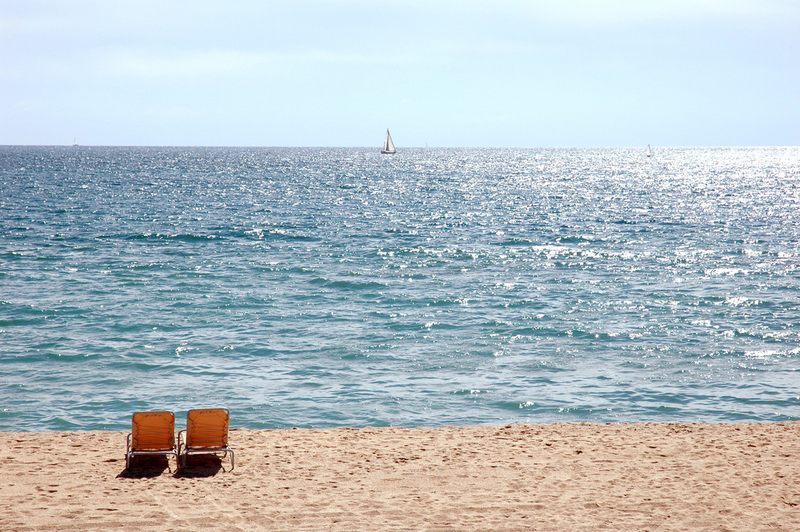 If you lie down on them at least minutes 10, you will approach the beach employee for payment. Hour you use them or the day, the price is always the same. If you do not want to spend money on sunbeds, buy colorful light pareo, it is easy to carry, all local sunbathe exactly. Be vigilant with bags and cameras, Do not leave things behind or unattended. If you came to the beach alone, ask vacationers close eye on your belongings, while you swim in the sea, here everybody does. 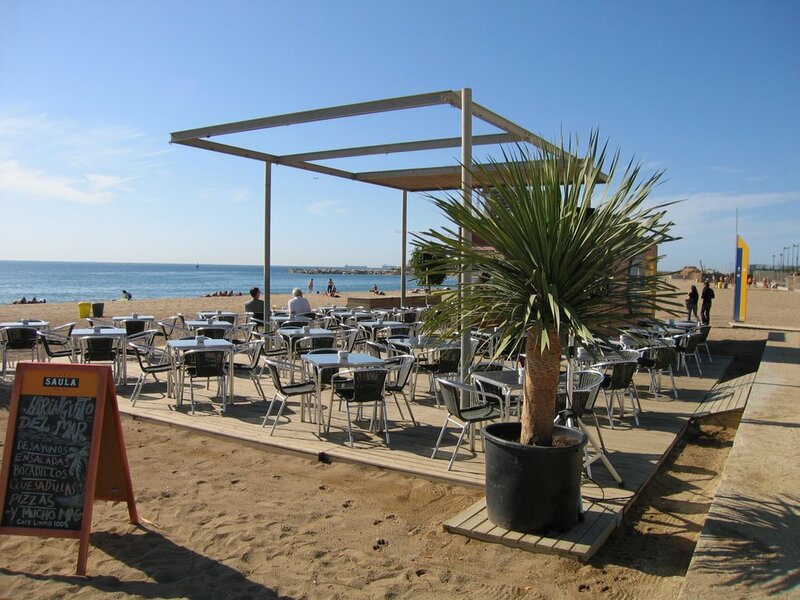 All Barcelona beaches are equipped with showers, and priplyazhnyh cafe "chiringuito" work free toilets. 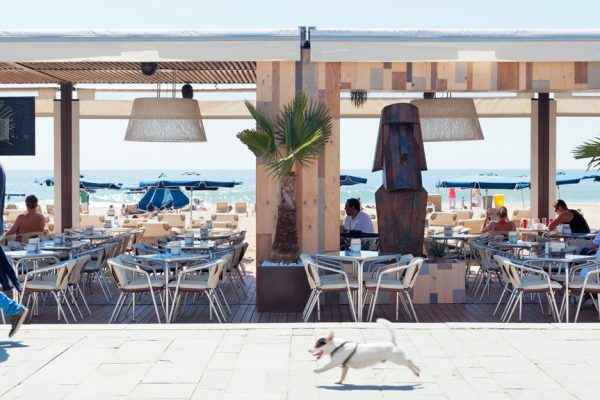 The "Chiringuito" you can eat, drink a mojito, and some even dance. 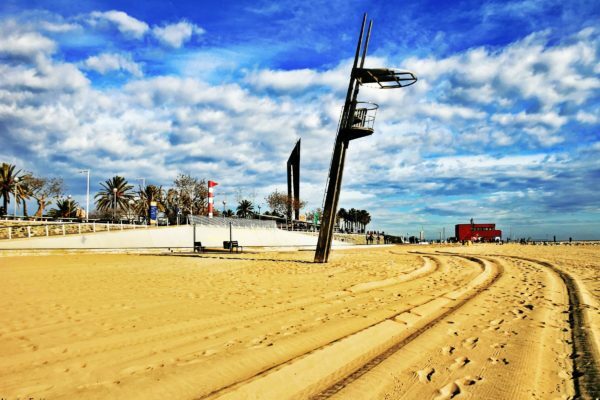 All the beaches of Barcelona are accessible to people with disabilities. 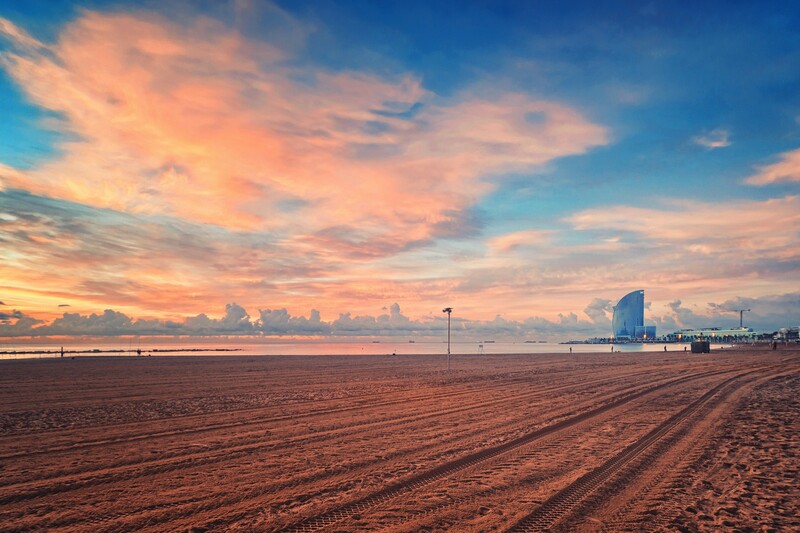 Barcelona beaches are cleaned every night. 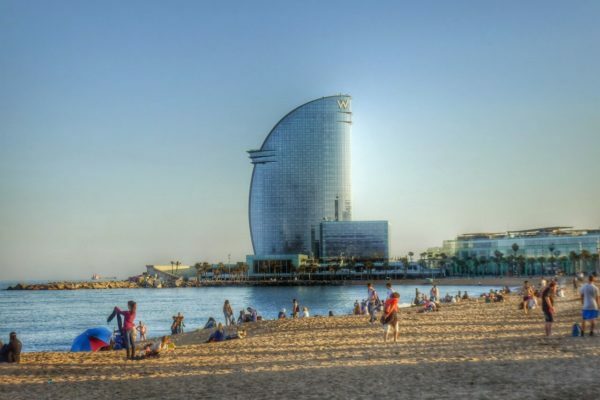 If you like sports, is on Barcelona's beaches you can do sapserfingom, get wind surfing or just go for a run along the beach, early in the morning here dozens of runners and a great atmosphere. 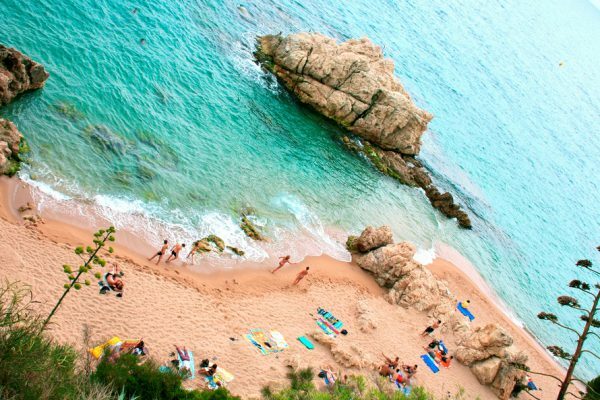 The most beautiful nudist beaches in Barcelona and the countryside, Where you can sunbathe and swim, in the buff. 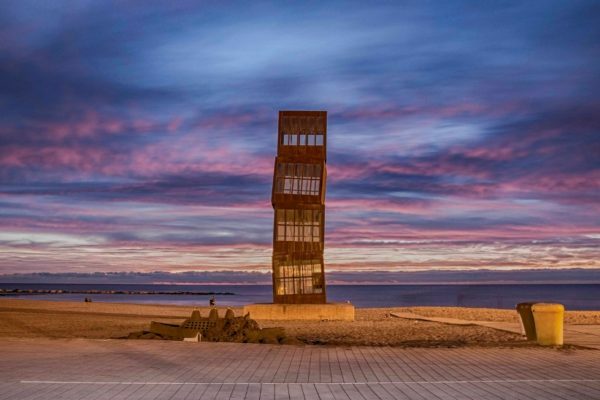 If you are a nudist, Barcelona then you will love.